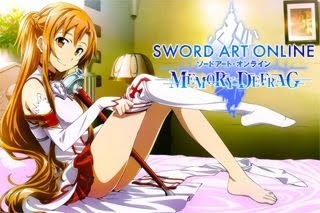 Here's a list of video links recorded by players from the action RPG - Sword Art Online: MD mobile game app. - There are a lot of videos out there that are probably better than the ones listed below, but should be enough to get ideas on how to effectively parry and dodge enemy attacks. Watch, learn and memorize boss attack patterns or animations (including how wide the area of effect is and if it can be parried or not), this is the main purpose of this guide. - For best results, use Characters that can counter the Element of the enemy Boss. - Upgraded Gears will also affect completion time, so make sure that you have the best possible gears that you can equip. Featured farmable items that can increase your damage (+%) for the next ranking event is also an excellent choice (accessory most of the time; MUST BE EVOLVED TO R4 to get the effect). - Boss attack patterns are not always exact as the videos below, because it would still depend on your Gears and Lvl of Characters, sometimes including RNG. - Team composition will also affect results, so check that too if you have the characters used. - Above all, player skill is the most important factor! - Approach enemy then attack, or dodge/parry first attack then continue. Memorize every next move it will make, and if it can be parried or not (light orange areas means, that attack is parriable, except for some attacks like projectiles). Dodge attacks that can't be parried, either by swiping, jumping, or using SS3s that can go behind enemy. - If you get hit, go "Retry", but this time you MUST follow the exact pattern you just did, unless the boss has a random move, that is hard to predict. Note though that sometimes taking a small damage for better completion time is also ok.
- Skip this step for Mini Ranking Event, since it's ok to get hit unless you want to keep the combos. - Memorize all patterns, including when to switch, when to do normal attacks/SS3/SS1, every bits of things. Note that stronger teams will get shorter patterns to memorize because they can end the battle quicker. - Find a way to cut your time: Maybe a better way to approach the enemy faster, a better method of dodging like jumping if the enemy uses a low blow, countering elements, maintaining combos, and more. Note that if you upgrade or change your team, all patterns will change. - Note: A Support unit's performance depends on his/her teammates, that explains why some of them are not listed as top tiers on our lists. - Note: Although new units have an advantage, not all players even whales can max them out right away and use, so it is normal to see previous characters because that is what they currently have and enough for the ranking event. - This time, Non-elem. bosses will appear. Non-elem character can deliver more damage when parrying. - Be careful when they generate heat! - They perform powerful attacks when you get closer to them. - Keep your distance and charge combos with a ranged weapon while waiting for a chance to parry. - It is a simple battle where the enemies perform ranged attacks when you fail parrying. Just keep parrying the attacks and don't give them a chance to counter! - The enemies change their way of attacks depending on where you are. - In the 2nd battle, before an attack, a prediction of attack range could be shown in two ways. - When a player is in the orange area, the enemies will perform parryable attacks, and when in the purple area, they will perform unparryable attacks. - Getting to the orange area is the key to winning! - Also, the orange area will likely to be shown behind the enemies. Use those skills that give you the ability of fast movement (to the back of enemies). - While the boss is performing a combo attack, you get a big chance to parry successfully. Figure out when to parry the enemy! - If you fail to parry or after some certain amount of time passes, the boss summons dogs to attack you! Dealing damage while the boss is calling up those dogs is hard. Defeat the boss as quick as possible before dogs appear! 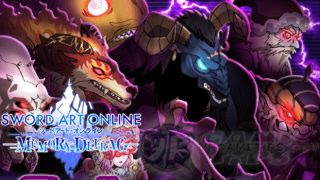 - TIPS: The bosses will be playing Karuta during their attacks. Be careful with those Karuta cards! Cards with a cross mark will explode! Cards with a circle mark are safe,however, the bosses come and attack toward the circle marks! Move to the circle to avoid those explosions and parry the bosses! - TIPS: In Part 2, the bosses start trying to get Karuta cards. They perform a spin attack when they do it. Parry their quick spin attacks! If the card the bosses get had a cross mark, the timing of their spin attack changes! Pay attention to the Karuta images before parry! - This time, the key to win a battle is to figure out when to stun an enemy. - You can avoid their bag bomb attacks by stunning enemies and take a big shortcut. - In the 1st battle, it's easier than usual to stun an enemy during a parry attack. In the 2nd battle, stunning an enemy works well while it's doing "some action". To make it happen, try a parry attack! - Tip: This time, bosses will be more active when their HP drops below 50%. Once they do some specific attack, then they switch their attack patterns. Both patterns are parryable. As soon as you step back to dodge the first attack, figure out their attack range, then secure your space to parry either at close hand or a few paces away. - Tip: Damage you deal will be greatly increased while they are stunned. Also, when their HP is below 50%, they won't be able to do the pre-attack right after being stunned which gives you an opportunity to parry! - Tip: Holy-elem. can also deal greater damage. - Tip: Pay attention to the playing card motifs falling from the sky - they might give you a clue about their moves. - Tip: In the first half when the enemy's HP is still higher than 50%, their attack ranges are limited to these areas, "Center" and "Sides". Their target area changes depending on the card motifs, you will know where to move once you see the motif. - Tip: In the second half when the enemy's HP drops under 50%, pay attention to the way the cards land. You might get lucky when the motifs of the five cards match. However, be warned that bosses would perform massive attacks when the cards have different motifs. Just run as quick as possible! - Tip: Defeat one of them asap, to avoid their wide range attacks! - Tip: This time, the boss will move up or down, if you attack up in the air and make the target bend downward, it will move back to the ground. Damages after parry will increase than usual, try to parry while in mid-air too if you can. - Tip: This Boss doesn't have any Elemental Weakness. - Tip: This Boss doesn't have any Elemental Weakness, so you may use any units. - Tips: Counter the elements, and hit those watermelons back to stun them. Note that you can't hit back watermelons that falls from the sky. - Water Element: Also weak against Mace, Gun, Rapier, Lance, Dagger, and Bow. - Earth Element: Also weak against Rod, Rapier, Lance, Dagger, and Bow. - Dark Element: Also weak against Mace, Gun, Rapier, Lance, Dagger, and Bow. - Fire Element: Also weak against Mace, Gun, and Rod. - Wind Element: Also weak against Mace, Gun, and Sword. - Holy Element: Also weak against Rod, Rapier, Lance, Dagger, and Bow. - Tip: Attacks after a parry or while enemy is stunned, will get bonus damages than usual! - This time it's different, you need to prepare 2 parties with at least 1 MALE character. - Limited only to 2 characters! So weapons would probably matter here. - Characters that can participate: Limited Event Free Characters and Sword Dance Characters (Medal Scouts), except Sachi. - Note: Holy Attacks will only deal 1.05x damage instead of 1.5x. Sword Dance characters will deal more damage than usual. - Note: This boss will definitely get high Defense, so use Debuffers and high DPS Neutral element Characters. Most of it's attacks are parriable, easy to predict and with lesser RNG. - Note: Boss will take more damage from Holy-elemental characters than usual. Attack patterns are mostly RNG but still possible to predict if the next one is parriable or not based from it's previous move. Time and use stuns to skip some annoying attack patterns to cut time, and if needed. - Note: From here on, switching characters while the Boss is stunned will instantly let you do a SS3 instead of SS1. - Note: As much as possible, let all the mobs spawn to sink in more damages and get higher score. It is possible to Guard Break and stun the Boss, by dealing enough high damages like Alice V2's SS3. - This is the fixed version, refer below for the video links. - Paramisia Magisa (Fire) > (Holy) > (Water) = Counter with Water, Dark, and Earth units. - Paramisia Magisa (Earth) > (Dark) > (Wind) = Counter with Wind, Holy, and Fire units. - then with Yuuki [Natural Pop Star], Asuna [Lightning Dance] and Yuuki [Eccentric Riding Hood]. - with all 6 Princess characters from Fairyland series. - then with Yui [Pearl Tears], Asuna [Lightning Dance] and Yui [Up-and-Coming Tiny Idol]. - then with Yui [Pearl Tears], Asuna [Lightning Dance] and Yuuki [Eccentric Riding Hood]. - then with Asuna [OS], Sinon [OS] and Silica [OS]. - then with Silica [OS], Asuna [OS] and Silica [Foxy Priestess]. - with Alice [Integrity Knight] and Yui [Up-and-Coming Tiny Idol]. - Lucian the Big Idol (Holy) = also weak to Mace, Gun, Rapier, Dagger and Bow. - Goblin the Great Idol Fan (Fire) = also weak to Magic, Sword, and Dual Blades. - The Crazed Eyes Big Fan (Earth) = also weak to Sword, Dual Blades, Mace and Gun. - Minotaurus the Big Fan (Water) = also weak to Mace, Gun, Rapier, Dagger and Bow. - Berserk Wolf the Big Fan (Wind) = also weak to Magic, Sword, and Dual Blades. - Kobold Lord the Great Fan (Dark) = also weak to Sword, Dual Blades, Mace and Gun. - with Asuna [OS] and Sinon [OS]; then with Sinon [Cheer] and Yui [Cheer]. - with Asuna [OS] and Yuna [OS]; then with Kirito [OS] and Philia [Treasure Hunter]. - with Kirito [OS] and Asuna [OS]. - with Silica [Dragon Tamer] and Philia [Treasure Hunter]. *Please Note that this list doesn't show how strong a character is to another character, because they have different Lvl or Stats, Gears, and Playing Styles.